Associated PressAgeing clientele at casual restaurants is hurting business. 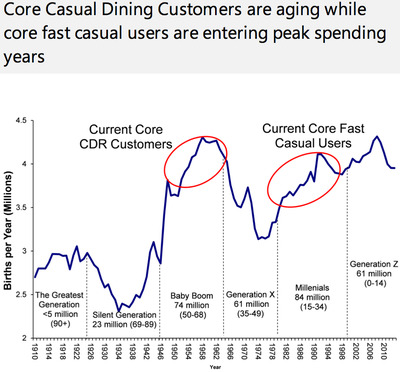 Casual dining restaurants’ customers are struggling to attract young customers — and that’s a big problem for business. 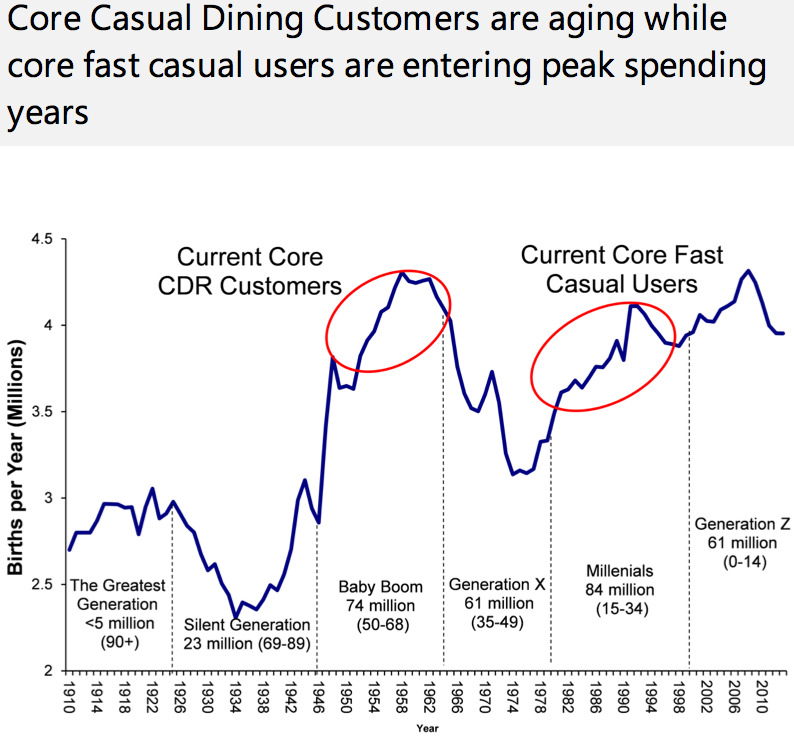 While customers at so-called “fast casual” chains like Chipotle, Panera Bread, and Five Guys are entering peak spending years, the clientele at casual dining establishments is getting older, according to a recent report by Morgan Stanley. Casual dining restaurants like Olive Garden, Longforn, Red Lobster, and Outback built their businesses around Baby Boomers’ preferences. These chains enjoyed “robust growth” until the early 2000s because Boomers were in peak spending years, Morgan Stanley’s analysts write. Today, the 50 to 68-year-olds are ageing — and business is beginning to contract for casual dining chains. For instance, the “early-bird special” mentality of Red Lobster’s customers is keeping it from competing with younger, hipper brands, writes Justin Bachman at Bloomberg Businessweek. 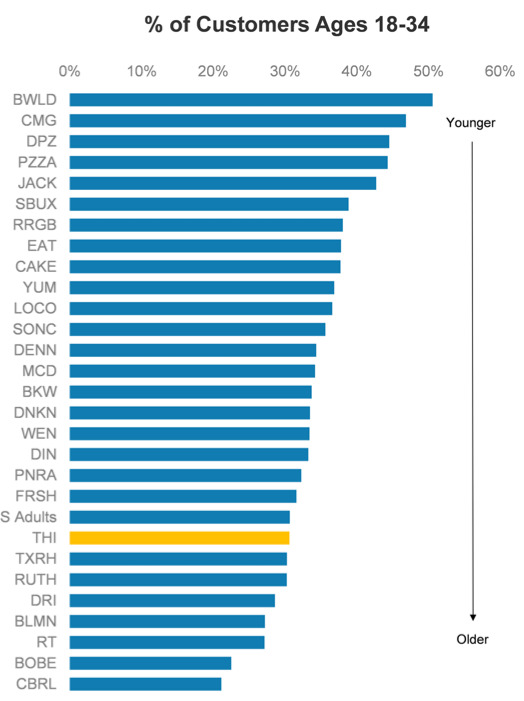 The seafood chain “attracts an oversize share of older diners who don’t eat out frequently, while younger and spendier patrons eat their fish at more upscale restaurants — places that can cover rising costs better,” Bachman writes. Red Lobster released a new menu to attract a younger crowd. Meanwhile, customers are eating out less in general. The average American goes out to dinner 74 times a year, The Washington Post’s Wonkblog reports, citing the consumer research firm NPD Group. That’s the lowest reading in three decades. Millennials prefer to spend their money on organic and high-quality foods rather than the experience of sitting down at a traditional restaurant. The brands expected to gain the most from this trend are Chipotle, Buffalo Wild Wings, and Starbucks, according to Morgan Stanley. All of these chains have a strong millennial customer base. 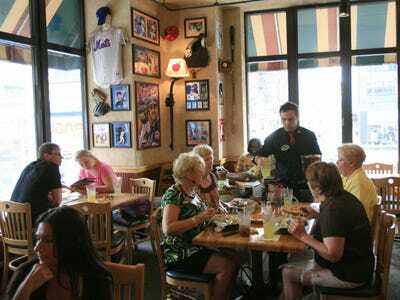 While the outlook for casual dining is gloomy, Morgan Stanley cites a few chains who have successfully attracted a younger clientele. The Cheesecake Factory, Red Robin, and Chilli’s have a younger-skewing demographic, according to the analysts.